Our special edition Dare to Create tote speaks to our hopefulness and resilience as ACLU across the nation.. Since our founding, we’ve envisioned a world that is more equal and just than the one we live in. We The People continue to be audacious in the face of injustice. Creativity is our ability to adapt and thrive in a world that is constantly changing, where we must keep fighting for civil rights and liberties whenever and wherever they’re challenged. We The People Dare To Create A More Perfect Union. 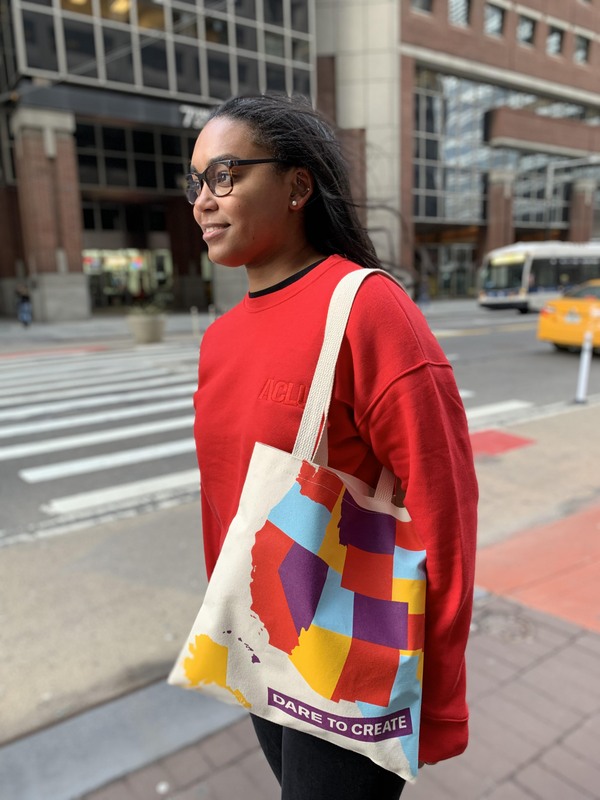 Celebrate our nationwide footprint with this commemorative Dare To Create double sided natural canvas tote.